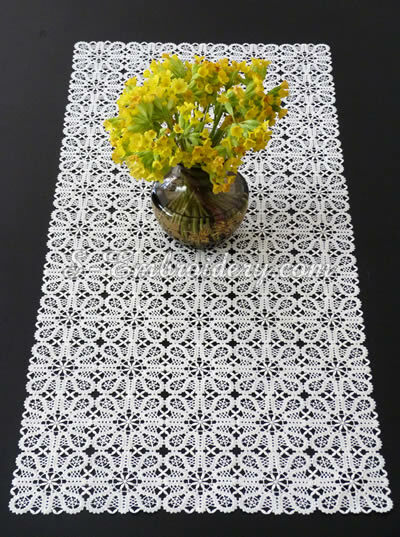 A fine free standing Battenburg lace machine embroidery design that will fit in 4x4 hoops. 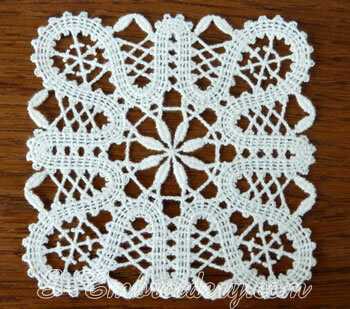 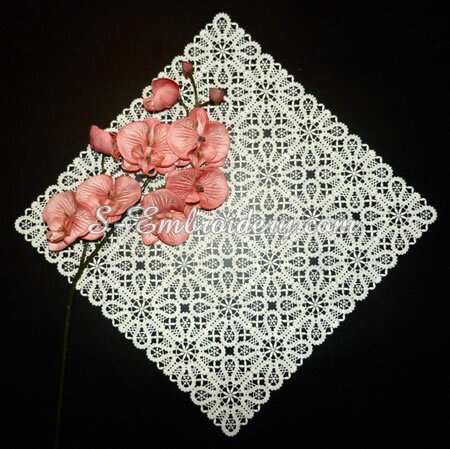 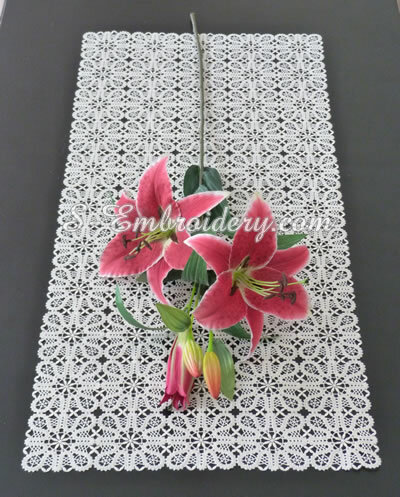 Using a different number of this Battenburg lace square you can create a doily, place mat, table topper, table runner or a large table cloth. 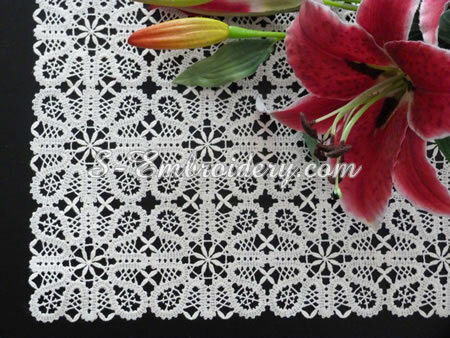 You receive 1 machine embroidery file, as well as PDF files with design information and instructions.